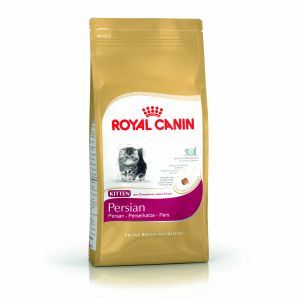 For Persian kittens from 4 to 12 months old. Reveals softness and shine of coat thanks to an exclusive complex of active nutrients, plus encourages dental hygiene by providing sodium phosphate to trap calcium present in the saliva. Ultra digestive safety thanks to very digestible proteins.